The museums are filled with an endless number of color variations of bole clay for watergilding. We discovered this beautiful grey on an Quattrocento Italian Icon frame. 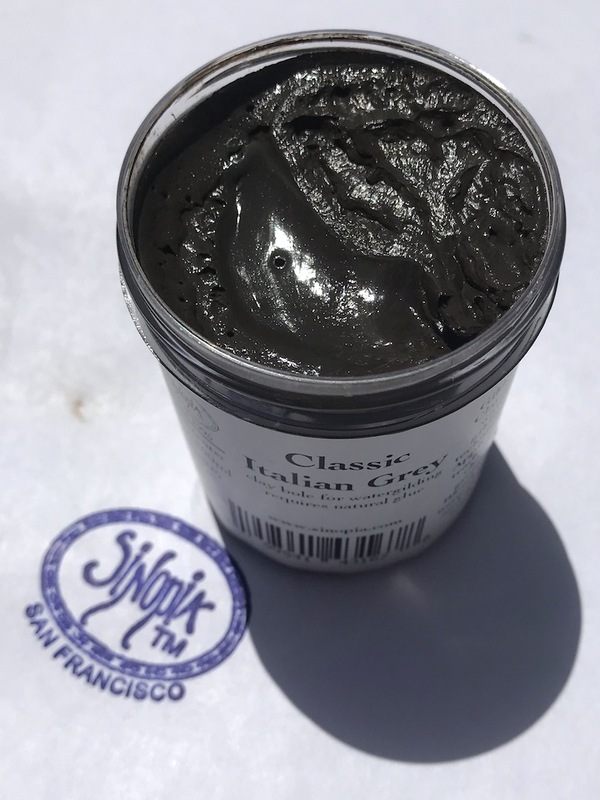 In the wet state the Clay is a deep gunbarrel grey, but dries to a warm mid-tone grey which is sure to embellish such leaf as Moon Gold, Palladium, White Gold and Silver leaf. Bole Clay for use in water gilding techniques. Use over traditional chalk gesso ground. Bole needs to be applied with a solution of rabbit skin glue. This Bole is manufactured by Sinopia. The formula was developed by working with master gilders to craft a rich creamy bole that burnishes to a beautiful highly reflective luster.